Evidence be damned – I’m angry! Have you ever been in a situation where it felt like you were on a hiding to nothing? For those unfamiliar with the term, it basically means that you’re facing a situation where the best outcome is nothing and the worst outcome is to be beaten. Wikipedia gives a good example: A heavily favoured team in a sporting contest earns no credit for victory, but is shamed by defeat. I’ve felt like this multiple times, but one example that springs to mind is when I was in high school. I was at a friend’s place playing chess against their youngest son who was in primary school. Earlier this week I saw another example of being on a hiding to nothing – the Federal Treasurer Joe Hockey was the sole guest on ABC’s flagship panel program Q&A. You see, last week Mr Hockey handed down his first Budget which is making a lot of cuts to… well… just about everything. Needless to say, this has made a number of people quite disgruntled. 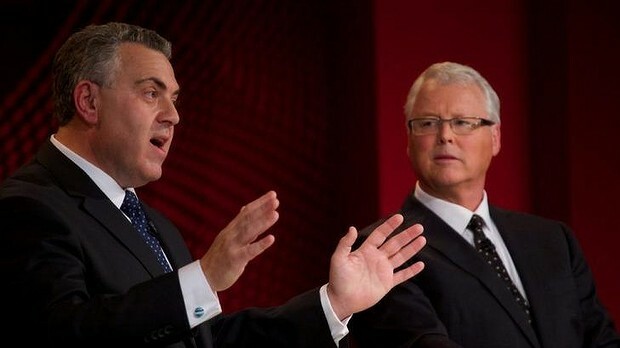 So, for 60 minutes on Monday night, people from the studio audience lined up to take pot shots at the Treasurer. Many were aggrieved at his plans to introduce a Medicare co-payment. Others accused him of increasing university fees, while others declared he was cutting pensions. And that was about it. Pretty much every question revolved around these three issues. And try as he might, there was little Hockey could do to assuage them. This was pretty revealing though because even when questioners made a false claim, (such as questioner Stephen Green who asserted that Wyatt Roy would get a lifetime pension as soon as he left parliament), and were corrected (Roy can’t get a parliamentary pension until he turns 70) didn’t care. When Hockey corrected Mr Green’s misinformation, he was still shaking his head. This guy was angry and even if his facts were wrong, he didn’t care. He’d resolved that Mr Hockey was bad and nothing Hockey could do could convince Green otherwise. And he wasn’t alone. Whether it was Medicare co-payment exemptions, redundancies from public service jobs that would cancel out the pre-dole eligibility period, or just plain assertions of what tables were included in the official Budget documents, people didn’t want to hear they had the wrong information. One questioner even went so far as to, essentially, accuse Hockey of contributing to potential increases in suicide rates (ranking a solid 9.7 out of 10 on the over-exaggeration scale). In other words, people had made up their mind before they asked their question. And, excuse my bluntness, but that’s pretty lame. Here’s a comical example to illustrate. Now, if you could pick one word to describe my attitude, which one would you pick? I’m guessing they’d be words like dumb, stupid, misinformed, taxi-hater, etc (and yes, I know taxi-hater is two words, but it’s my blog). It’s curious that we can lambast my fictional example (for the record, I love the colour yellow!) but when it comes to politics, we’re much less willing to accept alternative evidence that may affect our views. In fact, it’s not just politics – I reckon the more fundamental an opinion to you, the less likely you are to willingly entertain objective evidence. In other words, it’s much harder to believe something you don’t want to be true. I’m bastardising C.S. Lewis’s arguments here from his book “Abolition of Man”, but whatever. Perhaps that’s something you can think about this week though. What are opinions or beliefs you hold that you’ve never put up to scrutiny? Because if you don’t test your assumptions and opinions against objective evidence, you’ll end up like the questioner on Q&A this week – looking like a goose. Luckily for you though, you probably won’t be on national TV at the time. This is exactly what one might expect when watching Q&A at any time. If you want an objective audience (or even one with mixed views/leanings), then you're watching the wrong show. Indeed, why was Joe Hockey selected as the 'only' guest? Admittedly I no longer watch Q&A as I find it ridiculously biased, but when I was watching it, I never saw a sole guest.